"Where strangers are friends we've yet to meet!" Our site is new and currently under consturction. Please bear with us as we plan and create our home on the internet. We appreciate you visiting us and hope that you stop by again soon to see the new and exciting things happening at Columbia United Methodist Church. Currently the Home, Contact Us, Pictures, History, Getting Involved, and Recent and Upcoming Events Pages have been updated. 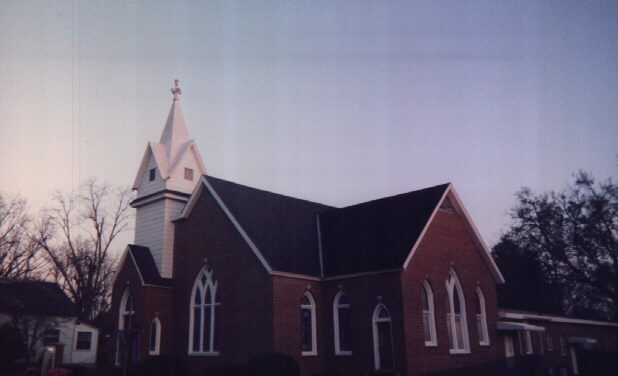 Located in southeast Alabama in the small town of Columbia, Columbia United Methodist Church has much to offer. We are a small church family committed to serving the Lord in our community and around the world. We are happy that you have chosen to visit our website and hope that we will see you soon in God's house! Our church is located on Alabama Highway 52. Visit our Contact Us link for specific directions from your location. Our mission at Columbia UMC is to show God's love through outreach and ministry, and to bring people to a knowing and saving knowledge of Jesus Christ. Please sign our guestbook and leave us a note!